Since the beginning of the Syrian Civil War in 2011, attention has steadily shifted from the war’s impact on Syrians to the stress placed upon countries dealing with increasing refugee populations. Turkey, with 3.4 million; Lebanon, with 1 million; and Jordan, with 660 thousand refugees account for over half of the estimated 6.6 million displaced Syrians. 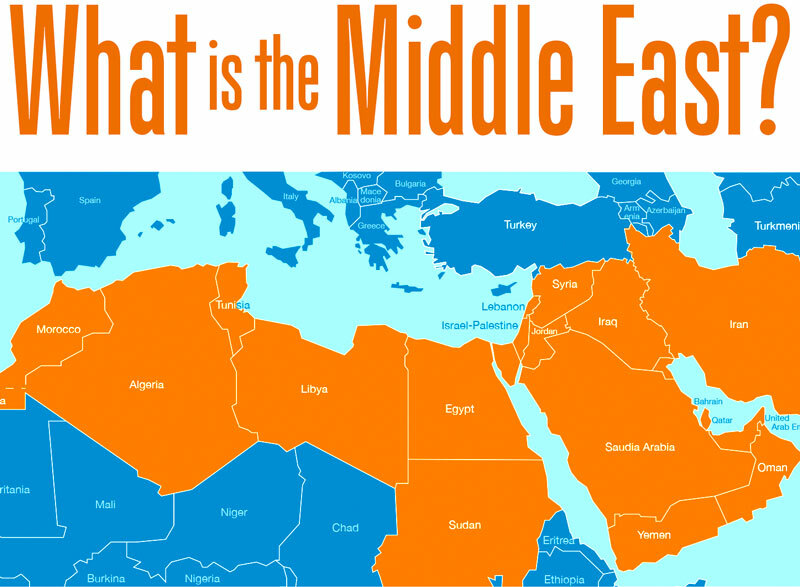 Yet these numbers do not include those from Afghanistan, Sudan, Libya, and dozens of other war-torn regions. In short, there are millions of displaced people fleeing unstable countries, and how we think about these refugees is largely shaped by the politics and media of the countries where they relocate. 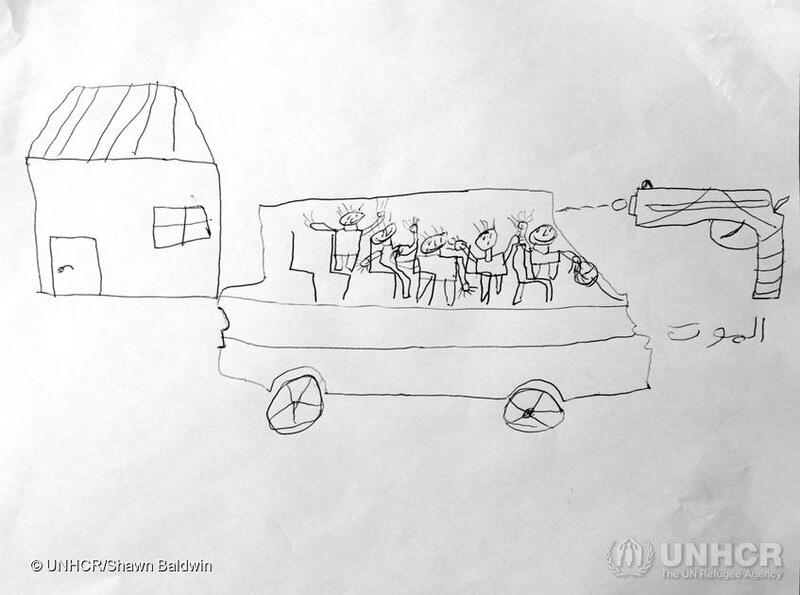 While photojournalists and non-government organizations (NGOs) document the challenges of refugee populations, the refugees are likewise chronicling themselves and using creative expression to respond to forced displacement. 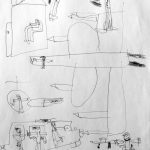 Creating art as a way of coping with war and loss is a type of art therapy, and it is beneficial for enduring adversity that might otherwise remain uncommunicated, internalized, and thus become disabling. 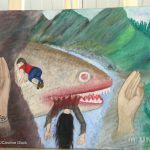 Through artistic expression many refugees are able to express experiences of fear, loss, separation, instability and disruption1. 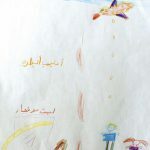 There are several enormous benefits for refugees to engage in creative production: first, expressing feelings and recounting memory are often impossible because the trauma and loss is simply too great, but drawing it, painting it, reciting it, or singing it is easier, if not more cathartic. And second, artistic expression, individually and collectively, creates narratives that help outsiders see and understand the strain that refugees undergo. 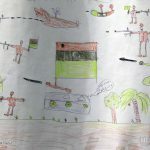 Creative production also activates empathy better than news media, because, over time, excessive proliferation of war images on television and on the Internet leaves readers and viewers immune to the dire circumstances faced by war victims. 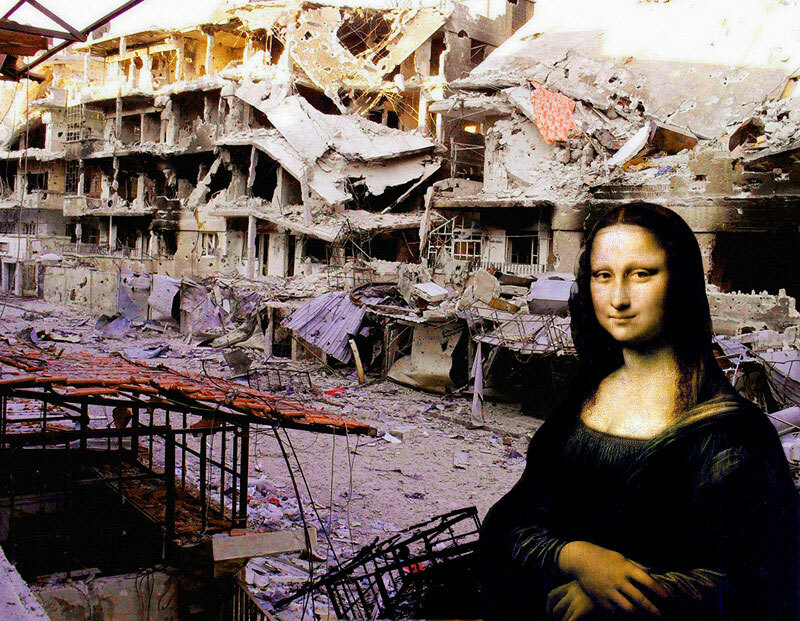 Syrian artist, Tammam Azzam, disrupts apathy toward Syria’s war by infusing images of destruction with Western art thereby forcing viewers to engage with uncomfortable content and overcoming media overload. By overturning apathy, refugee creative production results in a third important benefit — that of obtaining a broad public voice that spotlights refugees, their community, and their plight. This is highly important, because in many respects, being displaced is being invisible. A refugee is without statehood, thus without legal protection. Refugees cannot be self-supporting because they cannot obtain work. They are often isolated because language barriers. Refugee camps are restricted environments — and then there is the issue of animosity refugees face from the hosting countries who would prefer the refugees not be there at all. 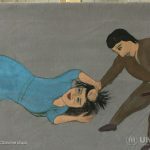 While much of the refugee art circulating on social media comes from individuals untrained in visual art or performance, some of it is the work of refugee professional or amateur artists and performers using their talent on the run. 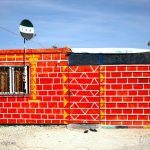 They are young and old, and much of the artistry is encouraged and funded by nonprofits helping refugees in absence of government or public support. It is with the help of these organizations that refugees not only create art, but find venues and audiences who might respond to their narrative. The primary venue is social media, which is an important tool for refugees to challenge and disrupt political activity that causes their displacement along with the media that reports on it. 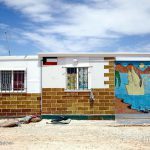 Social media easy to use and requires minimum technology: with only a smart phone and an Internet connection, refugees can launch creative campaigns that can potentially gain international recognition. 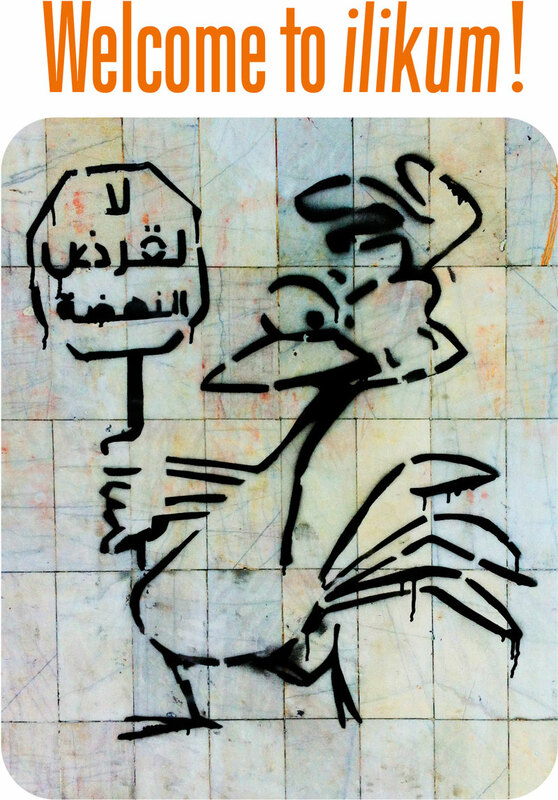 But it is what refugees portray that brings awareness. 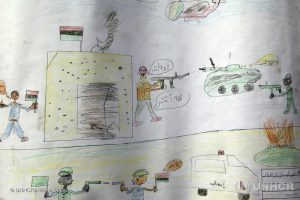 Children’s drawings that typically show family, friends, seasonal environments, celestial, and oceanic symbols instead render assaults on parents, bombs dropping from the sky, and intimate visualizations of destruction from war. 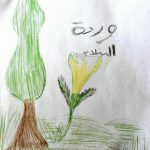 Refugees in poetry workshops write of longing for homeland and missing family members. Artists paint diorama-like epic visuals depicting monstrous power devouring the innocents. Yet in between the dark images, sad songs, and lonesome poems are glimpses of hope, because the creative process itself is a healing one, and for those refugees who engage in it can hopefully re-imagine themselves home again, wherever that may be. Insight and research about art therapy and its influence on the refugee experience generously provided by Gianna Capodilupo, MA. 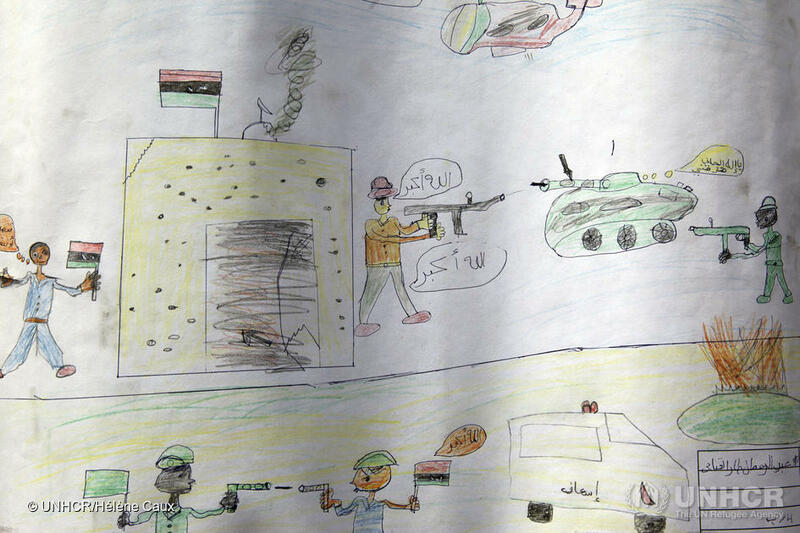 Images for this article were graciously provided by UNHCR — The UN Refuge Agency. Videos courtesy of the respective artist and producers.